here is the latest progress report. I spent the better part of my Thanksgiving vacation working on wiring and the lift bridge crossing the door. I have my DCC system installed and wired a main power switch for the layout on the end of the layout by the door. I strung a bunch of outlets under the layout, all connected to the power switch so I can leave the room and turn off the switch, knowing that everything is off, even that soldering iron I forgot was plugged in. I still have to run the bus wires for the throttles, track, and my lighting circuits. I spent a lot of time making sure the lift bridge was in good and working well. I knew that having a good working lift bridge would be key to having the layout operate well and not be a pain to deal with. 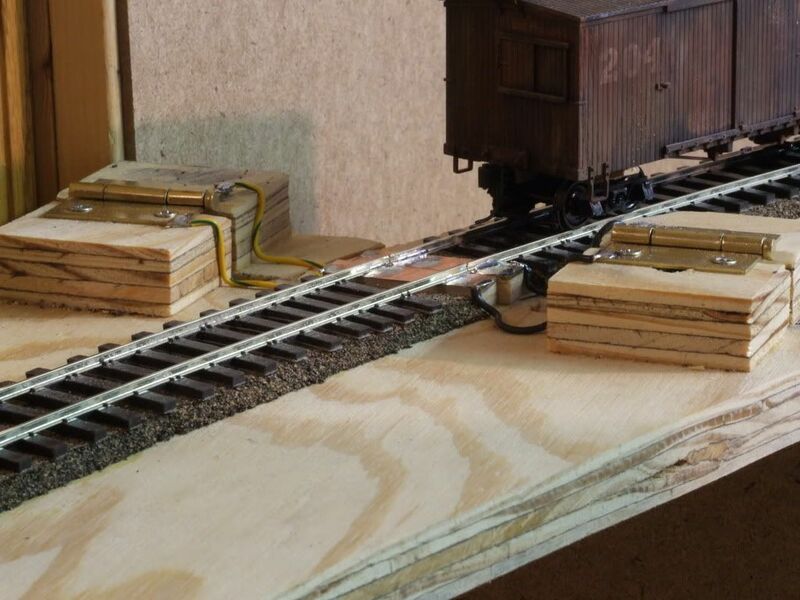 I hinged the bridge on the layout side and used a magnet to hold in when raised. 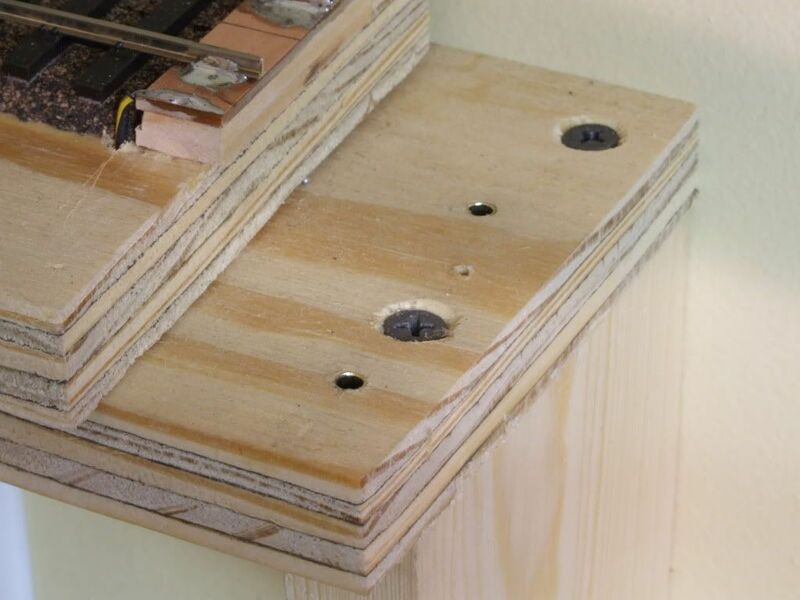 I drilled pilot holes through the bridge and into the ledge it rest on. In the ledge I enlarged the holes and drove brass tubes into them which I soldered wires to. 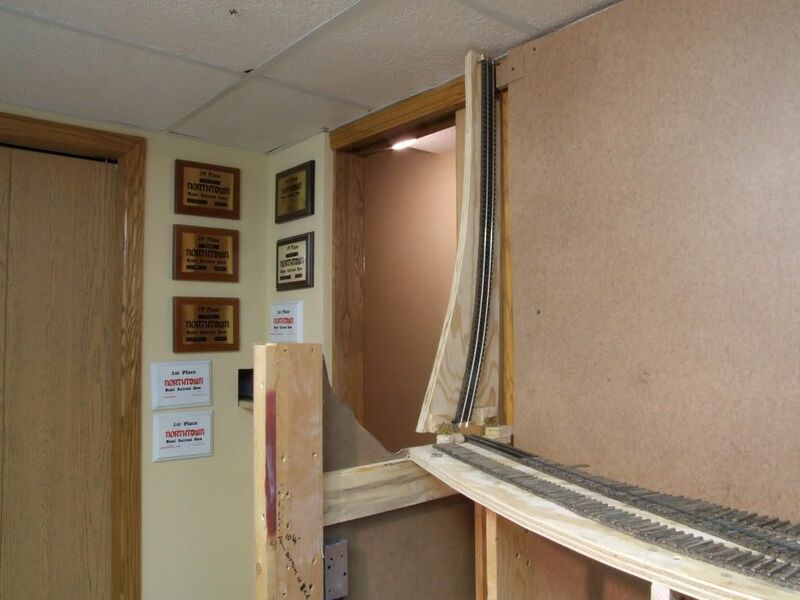 the wires connect to the track on that side of the room. On the lift bridge I drove solid brass rods with the ends rounded into the bottom of the bridge. I solderd wires to the brass pins and to the track that crosses the bridge. on the layout side of the bridge I used brass hinges with I also soldered wires from the bridge track to one side of the hinge, then from the other side of the hinge I soldered wires to the main line. 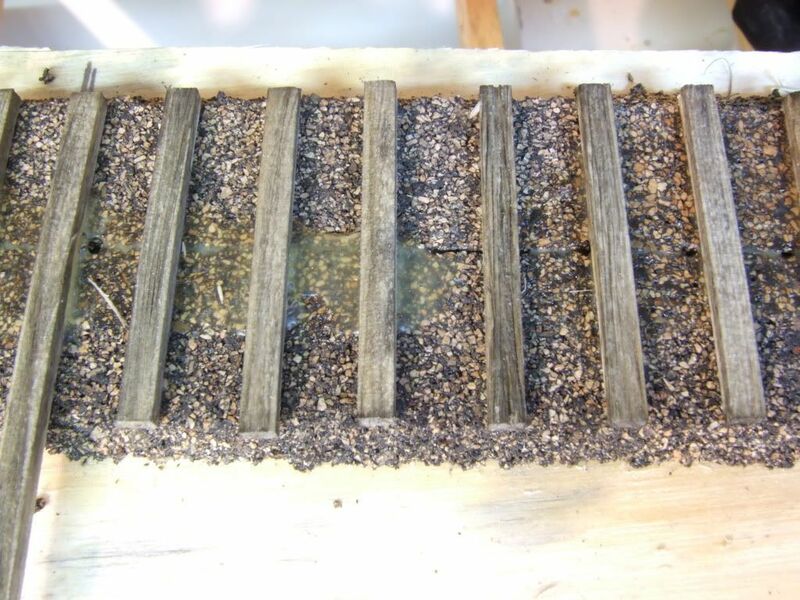 The tracks on the layout side supply power through the hinges to the bridge track, when the bridge is down the power is transfered to the track that goes around the furnace, if the bridge is not down a train can not go around the furnace. I used PC board material on the ends of the layout and bridge to solder the rails to ensure alignment. I started to lay ties for the tracks around the coal dump area. I am using a mix of Kappler 6'-6" and 6'-0" ties. I wanted to add grain to the ties but I felt that dragging a razor saw over wood produces a very large "V" shaped grain. To make a finer grain I took four Xacto blades and clamped them together. I make several quick passes over each tie with the clamped Xacto blades, if I wanted a lightly weather tie just a few passes were needed, to really weather one I made several passes, letting some of the wood splinter out. To add cracks I pulled a single blade across the tie, forward to make a small crack, and backwards to make a big split. I also would use the single blade to dig out some of the tie to simulate rot. The ties are stained with Builders in Scale Silverwood stain. 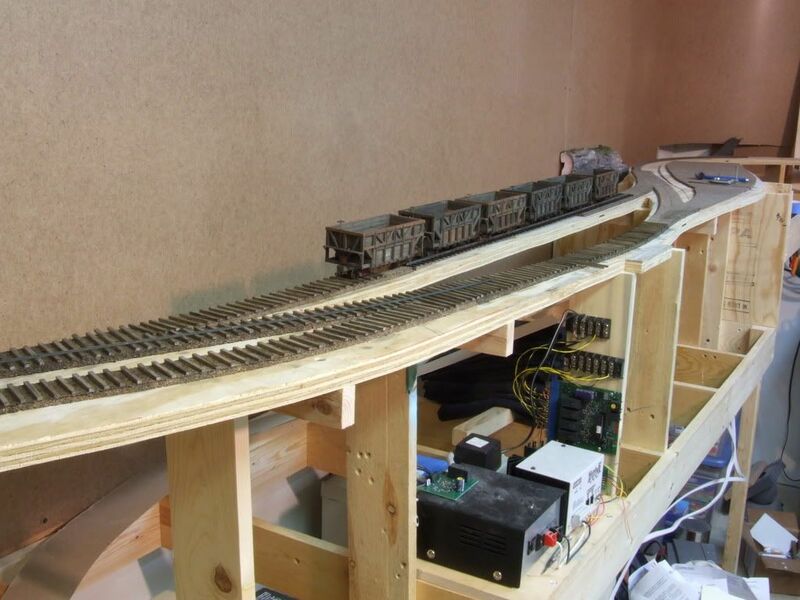 I built one turnout so far, I hope to have the rest done around Christmas, maybe even get the lower level loop running. Great job on the lift bridge. That thick plywood will probably make a spine along the bottom unnecessary. As you have explained earlier, the coal dump scene is going to be very unusual, with the scenery dropping off steeply toward the backdrop. That whole wall is full of potential for great photo angles. The rolling stock in the photos looks awesome ... nice job on the Bachmann boxcar. Thinking about using their hoppers? Great looking start on your new layout. I like your proto-freelance concept too and am using a similar approach in my own projects. It's a good way to do whatever you want but still make a credible railroad. 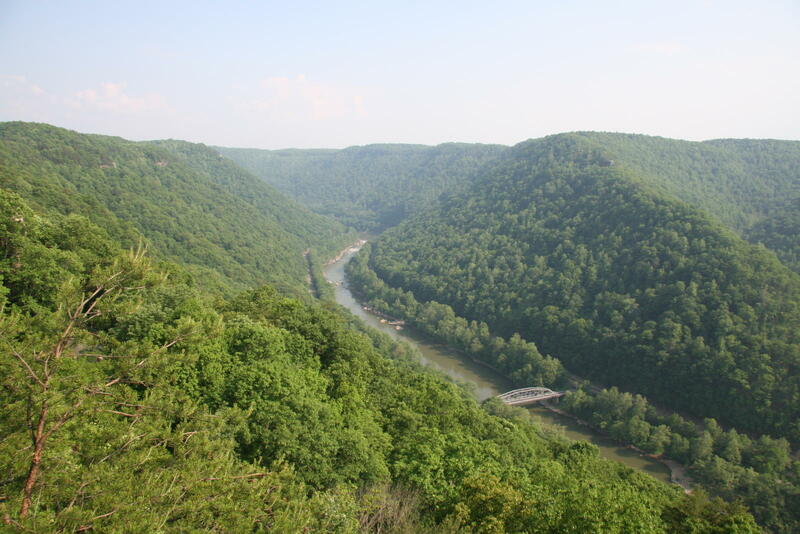 I'm also looking forward to seeing your coal trestle area develop, I like the idea of looking down into a canyon. nice job on the Bachmann boxcar. Thinking about using their hoppers? I have a couple of their hoppers that I may use if I can convert them to actually dump. So far I am shooting for 20 scratch built Mann's Creek hoppers that operate, so far I have seven and the most the parts for the rest cut, it is the purchase of the trucks, motors, and decoders that are slowing their progress. The lift bridge seems pretty stable, I am going to paint it and add some sides to it which should help as well. after looking at the photos again I decided that I better get a base coat of paint on those backdrops before I get too far along. I don't want to paint any details on them yet because I am not exactly sure how to scale it out. I also need to practice up some as it has been a while. I was considering the use of a photo if I could find one from the area that was shot looking straight across the river in about the same location. Great job, can I ask what you're using under the track ?? Midwest cork HO cork roadbed. I like its uniform thickness, easier to cut out than Homasote, and it is hard enough for spiking. The downside is that it does not add extra grip on the spikes but the O scale ties seem to be thick enough that it is not a problem. I was considering the use of a photo if I could find one from the area that was shot looking straight across the river in about the same location. I think a wall of poorly defined trees with a lot of atmospheric haze would be all that is needed on the backdrop at the coal dump. You might try to put a sandstone shelf near the top, but unless there actually is something remarkable across the river, I would not include anything on the backdrop that would bring attention to itself. The 3D scenery headed down the slope toward the backdrop ... how are you going to handle that? I would think a wall of trees may be necessary to avoid having to actually render the river itself, which might look awkward if not viewed from the exact correct angle, and again would be detail that would pull attention away from the trains. that is a great picture. I was planning on making my new backdrop hazy like you said, my last one was to crisp looking. I am going to do a row of trees at the bottom to hide the missing other half of the sizing plant. My first thought about scenery was to model the late fall / early winter season but I don't think I can get the leafless trees to block enought of the view. 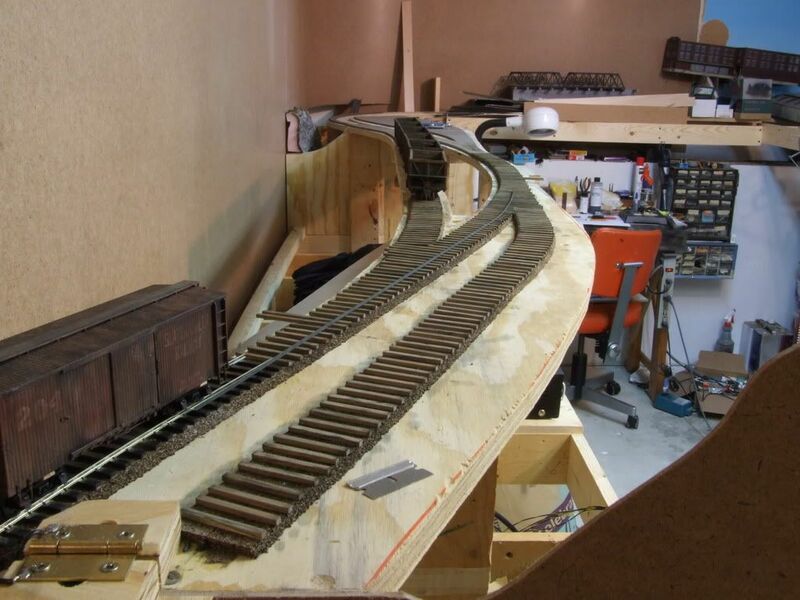 I am going to get started on the scenery in this area very soon, before even building the rest of the layout. to get the track in the coal dump area to work I have to build the trestle, and to do that I need some "ground" under it. Nice to see your progress on track laying, Jeff. (And to see again your beautiful cars, too). Mark the shot of the New River Gorge is magnificent. Not everywhere in the world do you find such awesome vistas. Thanks for sharing. I just scored on some PSC brass trucks, 9 sets for $8 and another two for $5! I like the weight of the PSC stuff, not as detailed as the SJCC trucks I have been using but the extra weight on some of the lighter cars (like flatcars) will be nice. That�s going to be nice looking track work, Jeff. Based on your posting, I did some reading about Templot. It sounds like a necessary tool for anyone planning to hand lay track on anything larger than a modular layout. Your bridge looks good. 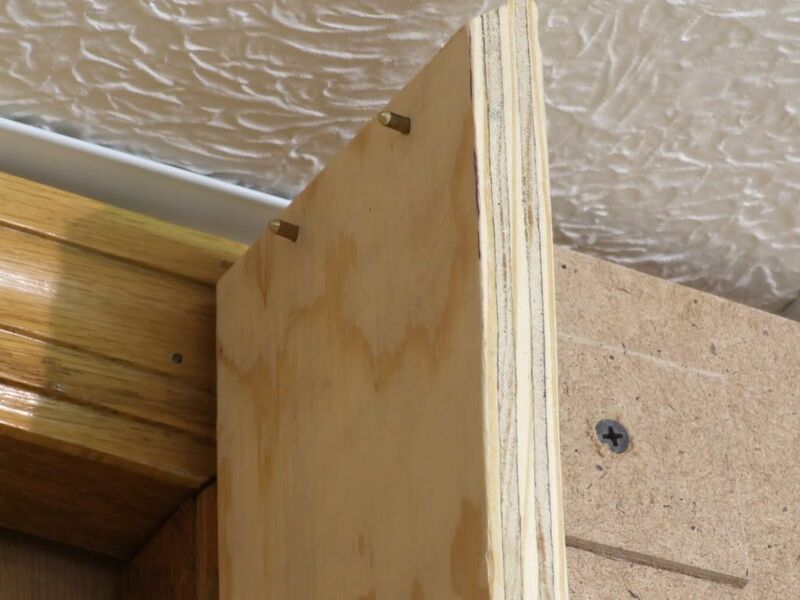 If you decide it needs reinforcement, you could fasten 2" flanges of plywood along the sides instead of making a spine. That would also protect against most derailments. You can probably guess how this came about, but for the past couple of years I've been putting roadbed under the free end of the headblocks (switch stand ties) as soon as I install them. Thanks for the info, when I look at the pictures I wouldn't think its cork, almost looks like ballast itself..